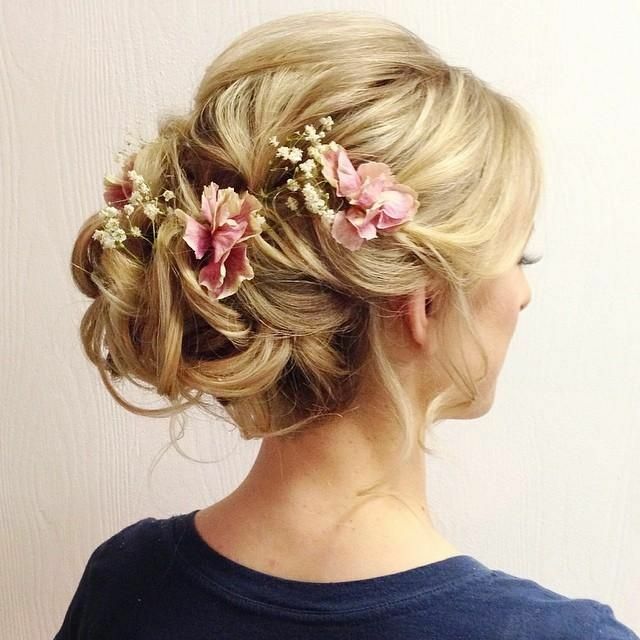 The bun updo is one of the most popular updo for wedding. 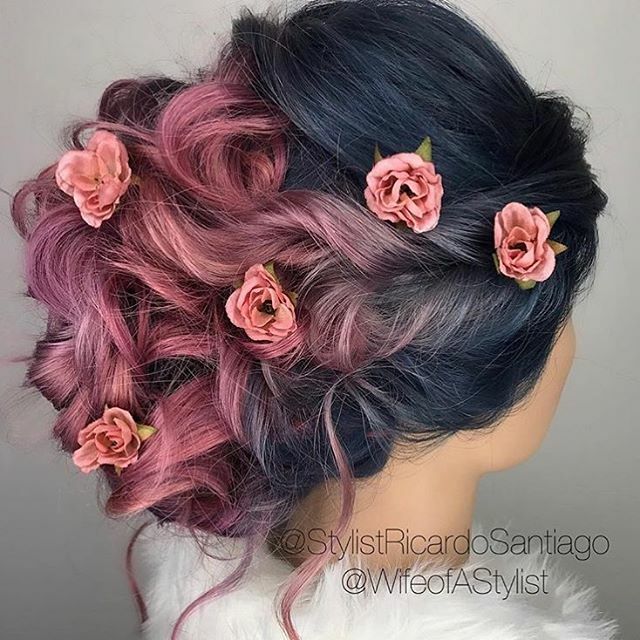 If you don’t like the classic bun, consider it to difficult to make or you want to transform the bun into something more edgy, think of this tutorial as an inspiration. 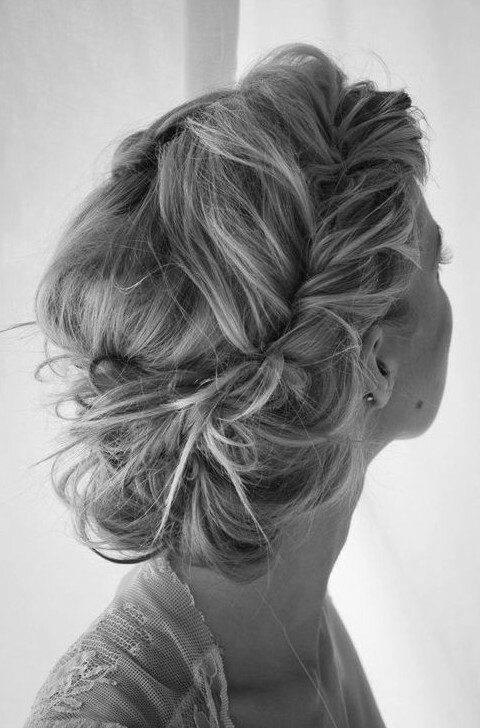 Follow this instruction step by step to create large, messy bun. 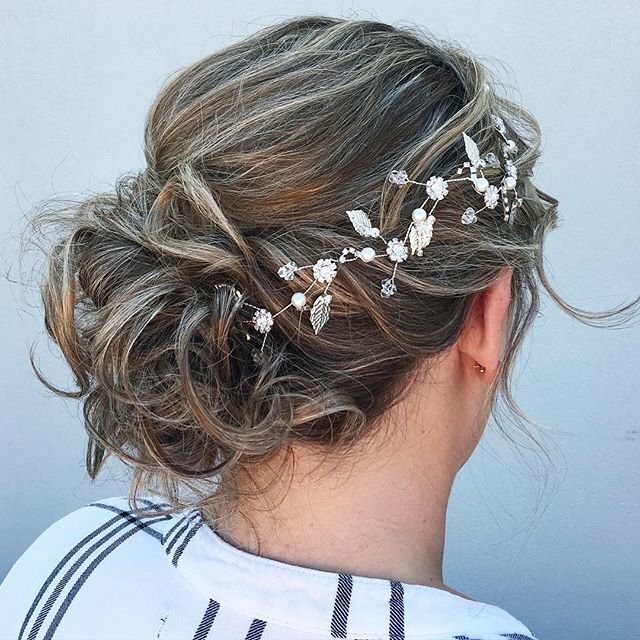 This one is only for girls with really long and thick hair – only when you have a lot of hair this bun will be big enough to make this striking effect you wish to achieve. 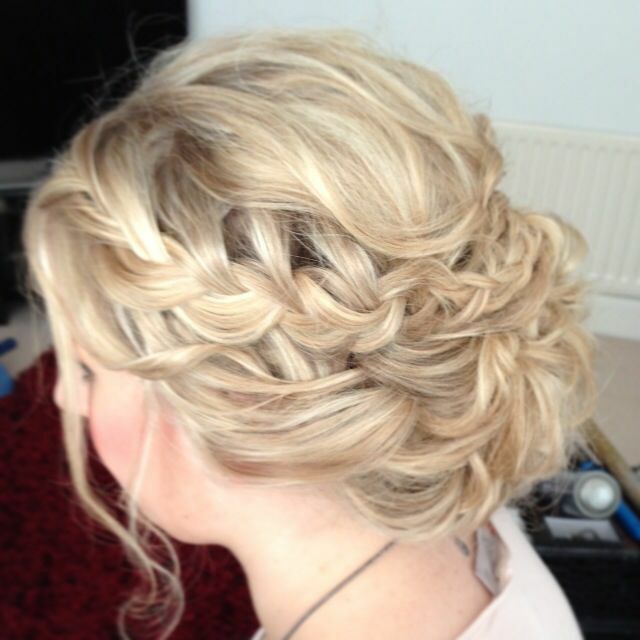 If you have layered hair be prepared for extra sloppiness or use more hair pins to anchor the updo. 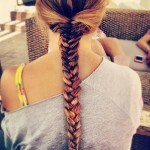 It is a perfect hairstyle for girls with small, round faces. 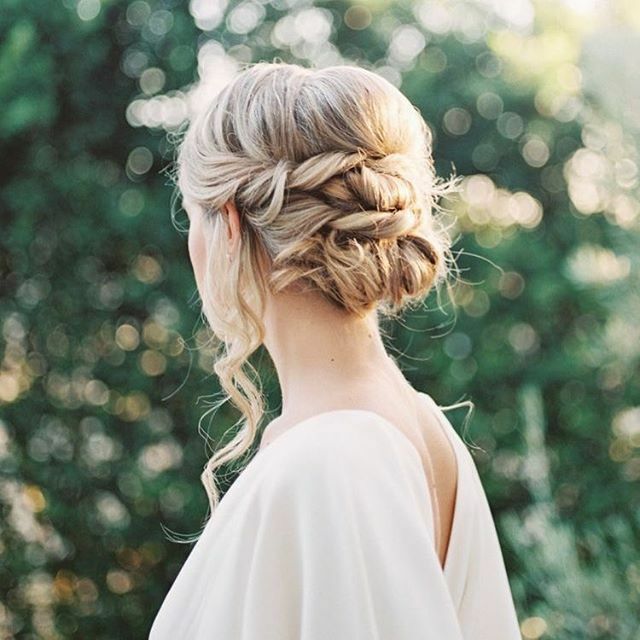 Gather your hair at the crown of your head, tilt forward and carefully brush your hair to eliminate tangles. 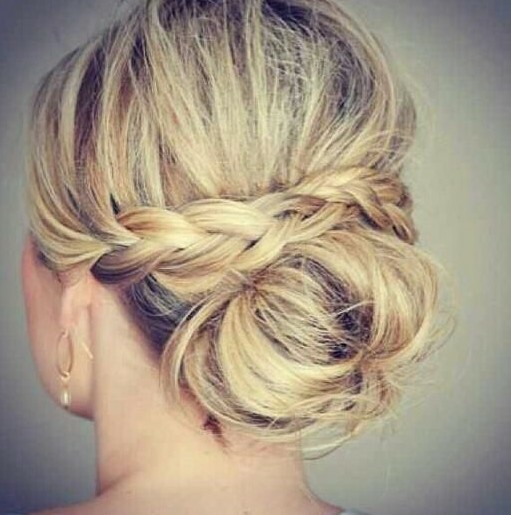 Create a high up pony tail, but when you are pulling your hair through the elastic band for the second time stop in the middle and create a kind of big loop. Widen the hole in the loop using your fingers. 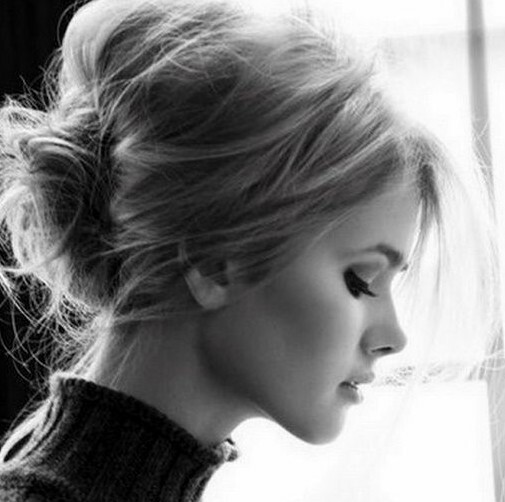 Now take the ends of your ponytail and hide them in the hole or if they are long enough, pull them through the hole to the other side of the ponytail. Pin them down. 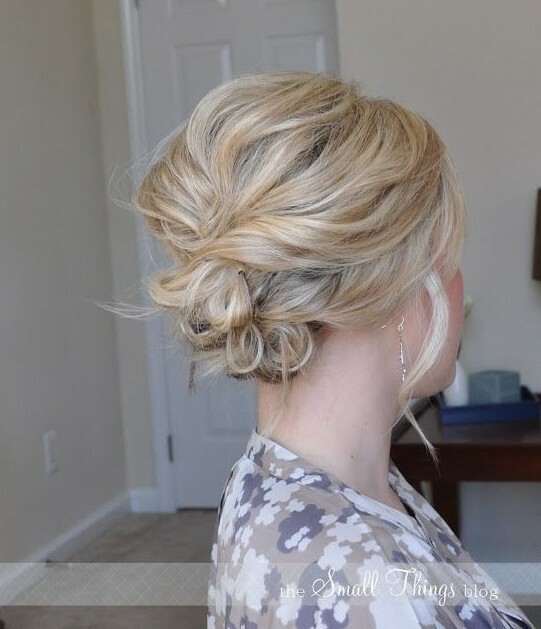 You have already created a bun, but to make it more stylish hold the both ends of the loop and unfold it to be able to pin them to your scalp. 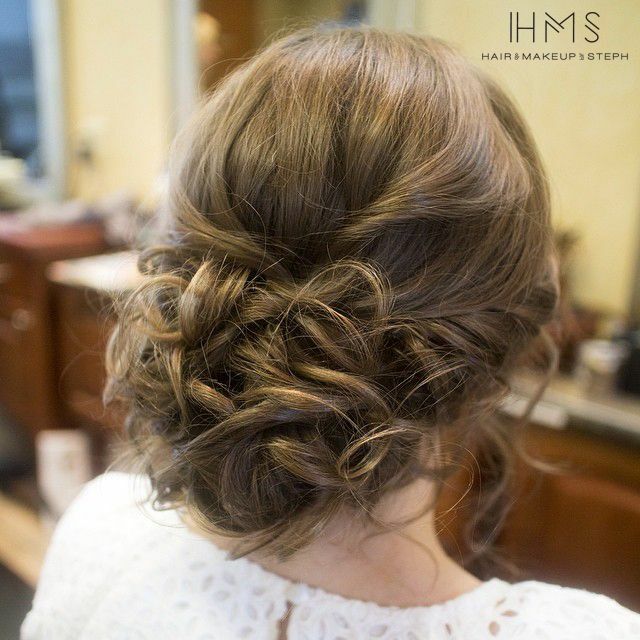 Secure the bun tightly with a set of bobby pins. 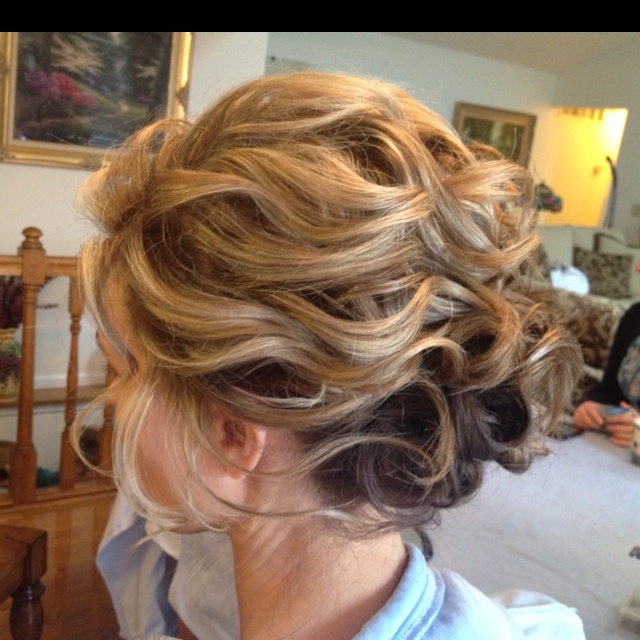 The bun is very sloppy and more hair will be slipping out of it with time. You can always pull them to the sides and pin to the scalp. 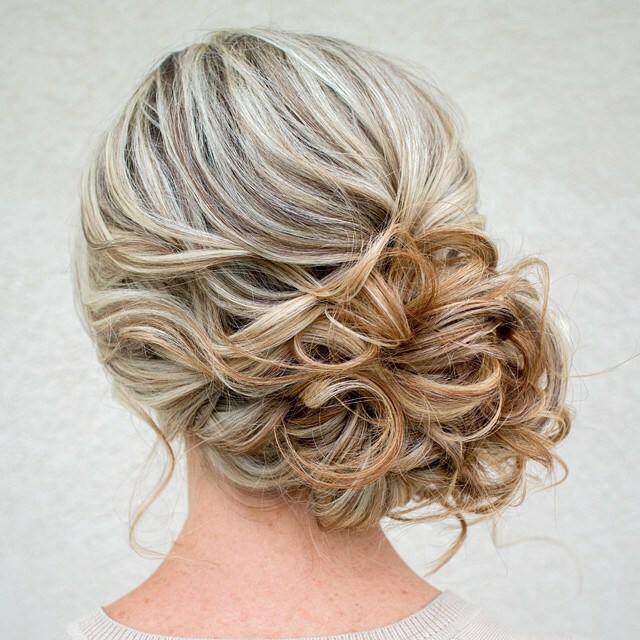 Like with every other updo hairstyle, skills come with practice, so don’t give up if it won’t go well at a first try. 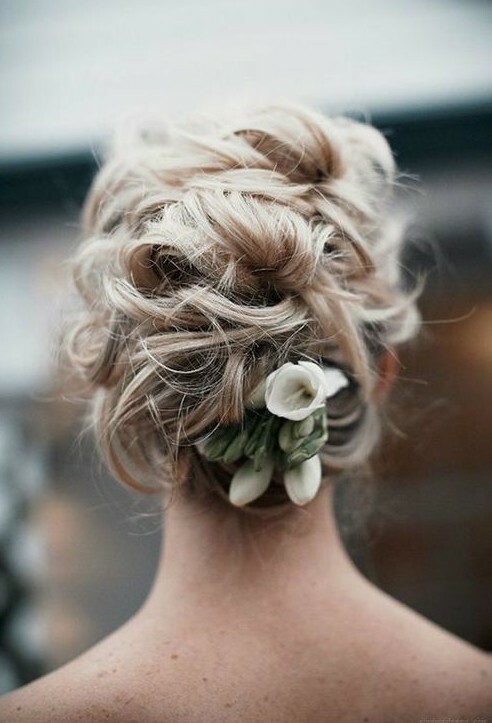 To hide bobby pins and mess at the base of the ponytail use decorative hair accessories. 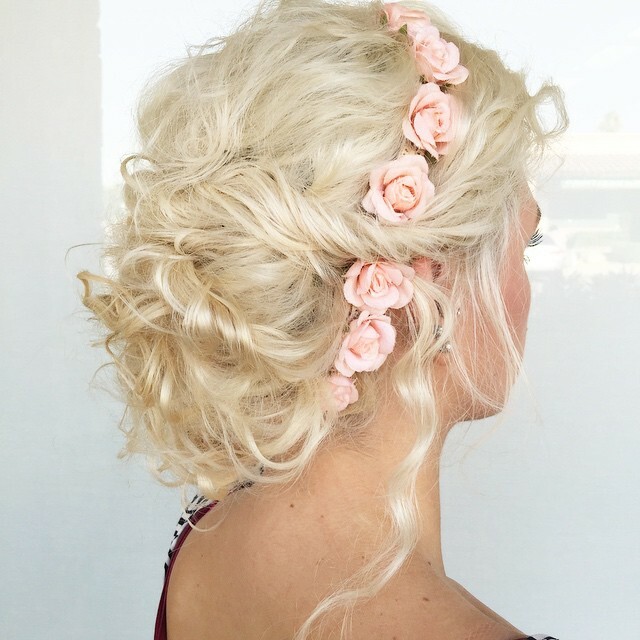 You can go with the big ones like decorative pins, big flowers or the ornamental head bands. 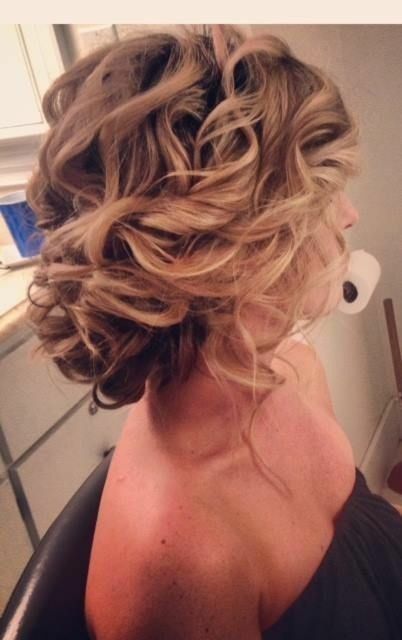 Here are some great updos for wedding, enjoy.